Jay Cutler got some unwanted sideline camera attention during a 34-18 victory over Dallas at Cowboys Stadium. Cutler completed 18 of 24 passes for 275 yards and two touchdowns as the Bears improved to 3-1, but was questioned afterward about an apparent sideline disagreement with offensive coordinator Mike Tice that was captured by ESPN’s cameras. Two weeks after his sideline shoving incident with tackle J’Marcus Webb in Green Bay, Cutler at one point Monday night seemed unhappy with a call or a delay in getting a play sent in from the sidelines. When Tice went to sit down next to Cutler on the bench, ostensibly to talk to his quarterback, Cutler promptly popped up without acknowledging Tice and walked away as he took a drink of water. 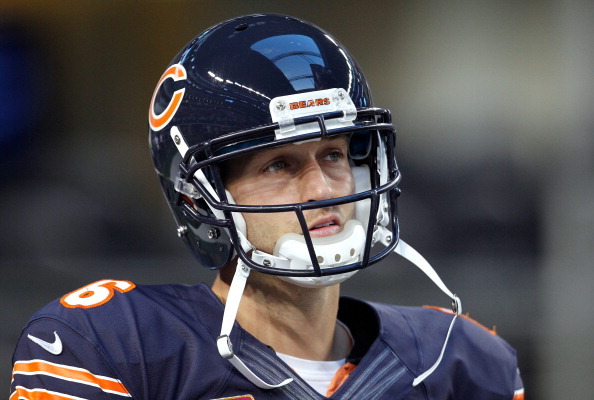 On his weekly radio show Tuesday, Cutler dismissed the incident and voiced support for Tice. “I think at the end of the day there is so much competition in the media … it is what it is. Mike and I are good. He’s my guy and he has my full support.